A Kanak revolt erupted in 1878 where over a thousand Kanaks were killed. Over the course of the next few decades, the Kanak population was decimated by massacres, displacements, colonial army raids and looting of their lands, which led to malnutrition and deadly diseases introduced by the settlers. Reserves were created, and the Native Code established a two-tier justice system. By the early 20th century the Kanaks had become a minority in their own land. Kanak nationalists engaged in electoral and mass struggles from the 1950s onwards demanding full independence. 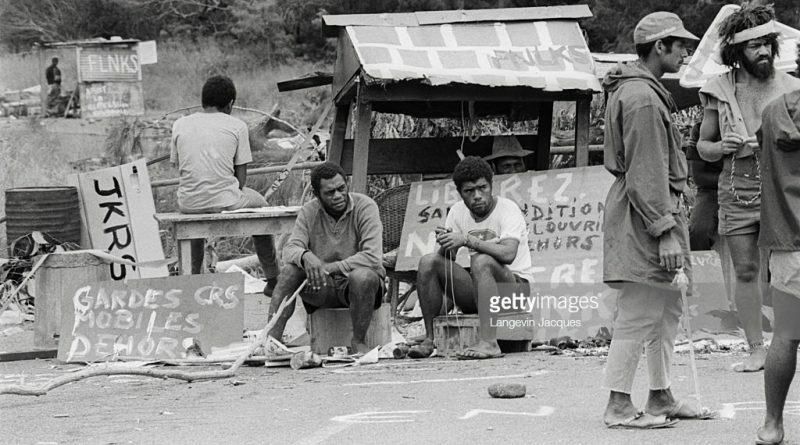 Militant protests peaked in the évènements of the 1980s but ended following the assassination of several leaders including Pierre Declercq, Éloi Machoro, Jean-Marie Tjibaou and Yeiwéné-Yeiwéné and the bloodbath of Ouvéa in 1988 when 19 activists were gunned down or executed. Independence leaders and the French government signed the Matignon Accords in the same year, promising progressive autonomy and independence at a later date. Some 10 years later, the Nouméa Accord of 1998 once again put off independence by postponing the referendum for self-determination by another two decades.